Mary still remains hungry for more and wants to give a last shot at gold in Tokyo. 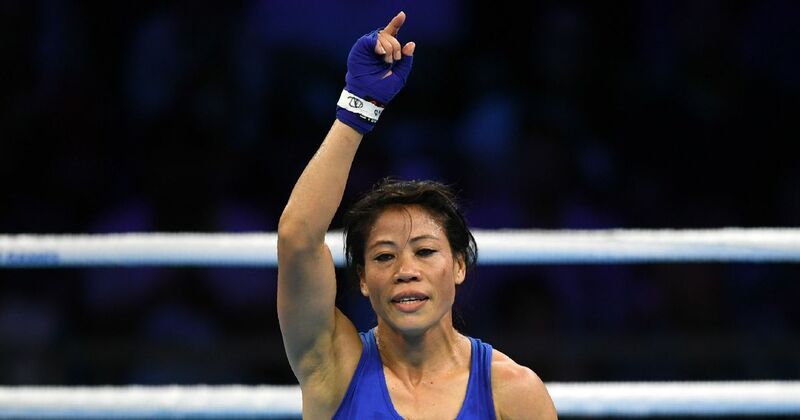 Boxer MC Mary Kom on Wednesday said she has no plans to hang up her gloves and wants to continue till 2020 Tokyo Games in a bid to fulfil her dream of winning an Olympic gold. “I am not yet done. I will carry on till 2020. I am fit, training hard and confident. I will try my best to bring glory for the country,” said Mary when asked whether she is eyeing her sixth world title at the AIBA Women’s World Championships to be held at the IG Stadium in New Delhi from November 15 to 24. Mother of three, Mary still remains hungry for more and wants to give a last shot at gold in 2020 Tokyo. 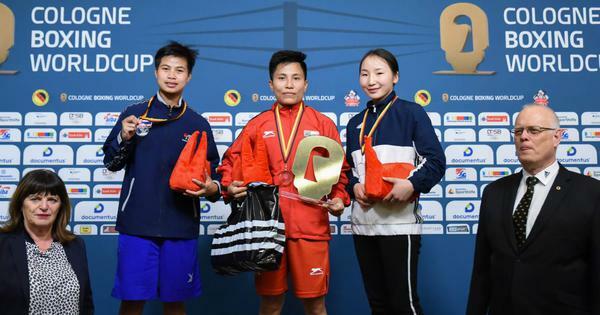 The 35-year-old from Manipur will compete in her pet 48kg category at the World Championships. But with the 48kg weight category reportedly not a part of women’s boxing in the Olympics, Mary said she will shift to 51kg. “My first priority would be to qualify for the Olympics and I will give my best shot. For Olympics may be I will have to shift to 51kg category as 48kg is not there,” she said on the sidelines of the logo and official anthem launch of the World Championships. It also means Mary will get a shot at another World Championships, which despite being a biennial event, will be played next year in Trabzon, Turkey as no big events are held in an Olympic year. Mary was happy that women’s boxing has finally got its recognition worldwide. “It was very difficult when I started in 2001. Women boxing was an unknown entity for most but after 5-6 years of toil people started to know women boxers. I am happy that women boxing has finally got recognition and gender equality,” said Mary. Mary, who has been named as the brand ambassador for the upcoming World Championships, will lead a strong 10-member Indian contingent at the event. Besides Mary, other members of the squad are Pinky Jangra (51kg), Manisha Maun (54kg), Sonia (57kg), L Sarita Devi (60kg), Simranjit Kaur (64kg), Lovlina Borgohain (69kg), Sweety Boora (75kg), Bhagyabati Kachari (81kg) and Seema Poonia (+81kg).